PRINCE2 is an incredibly popular project management methodology. If you’ve ever wondered about whether you should study for it to help your career, here are 10 facts that will convince you it’s worth looking at! PRINCE2 does have its roots in the UK as it started as a method used by the UK government on large-scale public sector projects. Today, it’s used in countries all round the world in public and private sector projects. Foundation: Entry level qualification that doesn’t require any previous knowledge or experience. Practitioner: Has some pre-requisites but these are covered off if you have the Foundation certificate. Professional: The most advanced level of qualification in the PRINCE2 family. It’s examined by a residential assessment center where you work through a case study over several days. You can take your PRINCE2 manual into the exam room with you. There won’t be enough time to flick through it searching for answers if you want to get all the questions answered in the allotted time, but have the key pages marked so you can flick to them quickly. Note: The Foundation Certificate exam is not open book, so don’t get caught out! Consider the study options are available to project managers as you learn more about PRINCE2. Unlike the PMP exam, where some of the questions are drawn from other documents like the Code of Ethics, with PRINCE2 you are tested on what is in the manual. The Practitioner exam uses a method called Objective Testing. It’s multiple choice, but not as you know it! There are multiple parts to each question, and each answer can have several parts. The aim is to test your knowledge of how you can apply the PRINCE2 knowledge in a real project. It’s a difficult exam, but if you prepare well and have experience with the objective testing format, you will be going into the exam with a high chance of success. There is a PRINCE2 Agile qualification which is aimed at people working in an Agile project management environment. It’s good for project teams who are used to using Agile but who also want a bit of structure and project management good practice around their work. And yes, you can have both! PRINCE2 used to be managed by the Cabinet Office in the UK, as a department of the government, which made sense given how it was developed and what it was used for in the early days. Today, it’s managed and developed by a new organization called AXELOS, a joint venture between Capita and the Cabinet Office. There are no post-nominals with PRINCE2. Sorry! PRINCE2 is not a ‘take it and forget it’ qualification. 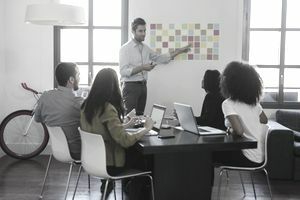 Like the PMP credential, you have to keep your PRINCE2 Practitioner up to date if you want to be able to continue to claim that you are a registered Practitioner. You should re-register every 3 to 5 years. Re-registration is via an exam. It’s shorter than the normal Practitioner exam. The benefit of doing this is that you don’t have to take the longer, full exam again unless you let your Practitioner qualification expire. Unlike other professional qualifications, there is no need to keep a log of your continuous professional development (CPD). There is nobody who will look at this as PRINCE2 is not a membership-based organization. Keep up your professional development and continue to learn new things as you go, but you don’t have to prove it to anyone once you’ve gained your PRINCE2 qualifications.